Rosenberg: We have 15 brands and 19 dealerships, and we're building another one. 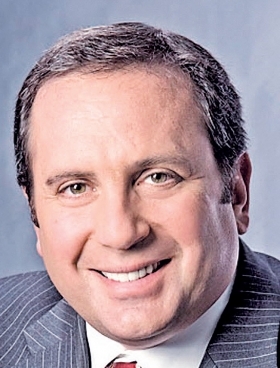 David Rosenberg's family sold its New England dealerships to Group 1 Automotive Inc. in 2000. Group 1 operated the stores in a decentralized fashion, and Rosenberg spent the next six years managing the stores. But when the public group moved to a more centralized reporting model, Rosenberg decided to retire at age 44. He set his sights on going back to college to get a Ph.D. in economics and become a college professor. But the car business was not out of his system. Instead of academia, he launched Prime Motor Group of Westwood, Mass. Prime has opened or acquired 19 stores in Massachusetts, New Hampshire and Maine, including Mercedes-Benz, Toyota, Ford, Buick, GMC, Honda, Porsche, Audi, Infiniti and Volkswagen brands. The group sold just more than 15,000 new and used vehicles in 2012. He spoke with Mid-South Bureau Chief Lindsay Chappell about changes in sales practices, the push for higher volumes and the outlook for service business. Q: How many franchises does Prime Group have now? A: We have 15 brands and 19 dealerships, and we're building another one. Are you in the market to buy? Yes, we're in the process of acquiring two more. We have applications into the factory. One is another Toyota dealership and the other is a Subaru dealership. We consider ourselves a New England group, and we want to concentrate here. We go as far north as southern Maine and as far south as Cape Cod in Massachusetts. We're in New Hampshire. I want to be able to drive to a store in a reasonable time. The reason is that we like to offer our associates a career path. So if we have someone who is ready to become a general sales manager, I don't want them to have to uproot their family and move far away for the opportunity. I want them to be able to just drive 30 minutes in a different direction. In terms of size, we don't want to look at any dealership that can't make $800,000 to $1 million a year in net profit with some effort. It takes as much work to run a store that does $400,000 as it does to run one that does $2 million. You are primarily in import brands. What's your outlook for the domestic brands? We're a Ford dealer, and they're going to do quite well. Their technology is great. They're concentrating on higher-mileage vehicles and hybrid powertrains that people want. We're also Buick and GMC. Buick is doing OK. It's not doing what General Motors wants it to do. I'm concerned that we're not getting the younger demographics they want yet. And GMC is very popular. My only concern there is what might happen to us if gas prices rise again. We have a lot of trucks and V-8 engines. We've never gone after a Chrysler store. My impression is that they have not done a great job of producing passenger cars for mainstream Americans. I personally like the Hemi engine, and I like the way the Dodge Dart looks. But they're not doing enough to capture that market. They seem to be mostly concentrated on Jeep sales, which are doing well. I'm not sure what their success will be with Fiat. What was your biggest achievement of the past year? We've arranged to put in place an entirely new sales process. It will be different from the way most dealers sell cars. It's not a negotiation-free model -- we tried negotiation-free, and almost every time the customer still wanted to negotiate the price. Here's our thinking: We all know that 90 percent of our consumers are doing research online and shopping for prices before they make contact with the dealership. But there's a disconnect. When a customer walks in after collecting research, where does the sales negotiation start? It starts at, or very near, sticker, even though they already know what the average sales price is. My feeling is, let's acknowledge the customer's research upfront and let's start there. Let's sit down with the customer and show them -- here's the average price paid for that car in this market. Let's start the conversation there and make the process more productive. We're moving to that selling model at every store right now. And it will cover our used-car sales operations. We've also redesigned our Web site to be unlike the cookie-cutter look I feel like you see all over the industry. We'll go live with that on Sept. 8. I feel that almost every dealer in America has a Web site that was designed by maybe just eight or 10 Web site companies, and so their sites look and operate the same. We want to be different. We want our own signature on it. Does it concern you that so many automakers are pressing for higher volumes now? Someone is always pushing for more market share. Mass-market and luxury alike. The pressure for us to sell new vehicles is extremely high. We operate in the Boston area and the closest competing Honda and Toyota stores are just four miles away on the same street. So everyone's fighting for that sale. When you have a lot of pressure to turn your inventory, the customer makes out significantly, and even the factory makes out significantly. But it's at the expense of the dealer. The result is there is no gross profit on a nonluxury popular model. I shop the competition all the time. When I ask someone for a price quote on the Internet, I often get quotes back that are $800 or $1,000 losses -- net of anything. Losses. It's crazy. In the recession, dealers everywhere made a big effort to increase parts and service business. Is the retail industry nearing the peak of that opportunity? No, I don't think so at all. And for a couple of reasons. One, even though cars are better quality and require less maintenance now -- which actually could hurt dealers' service business -- they have so much more technology today than they did 10 years ago. Customers can turn to a mom and pop independent service for routine maintenance. But the technology is so advanced now, the dealer is going to have to play a bigger role. And second, I would argue that service business is, in fact, at a low right now for many dealers. Consider that since the recession, there have been a lot fewer cars sold. So there are actually fewer 1- to 5-year-old units in operation now than there were in 2007. As the volumes come back and stay at high levels, the service business is going to increase. Next year will be better than this year. There's a significant opportunity. What's your advice for keeping customers loyal? The first thing is that the automakers need to be constantly improving their cars. You can't get customers out of a car that they've been driving for three or four years and move them into a car that's exactly the same. The other thing is just doing a good job and creating a good experience. Do customers feel like they're having a positive experience at your dealership? It's not just meeting their expectations but exceeding them. If you're going to clean a customer's car, then clean it all the way. Clean the center console. Vacuum under the mats. Maintain an attitude that you want to go beyond what's expected.